From left to right: Julianne Parham, Betty McNeill, Sherry Allsbrook, Happy Neal, Diane Jackson, and Linda Mashburn. 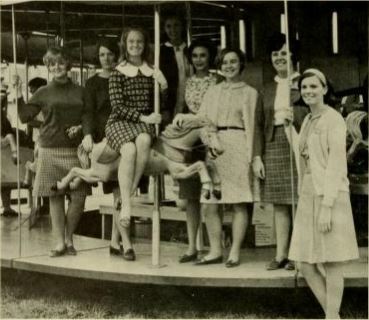 These ladies were on the Student Activities Board in 1968. The board was responsible for coordinating social and extra-curricular activities for students and faculty much like our Meredith Entertainment and Recreation Associations do today!